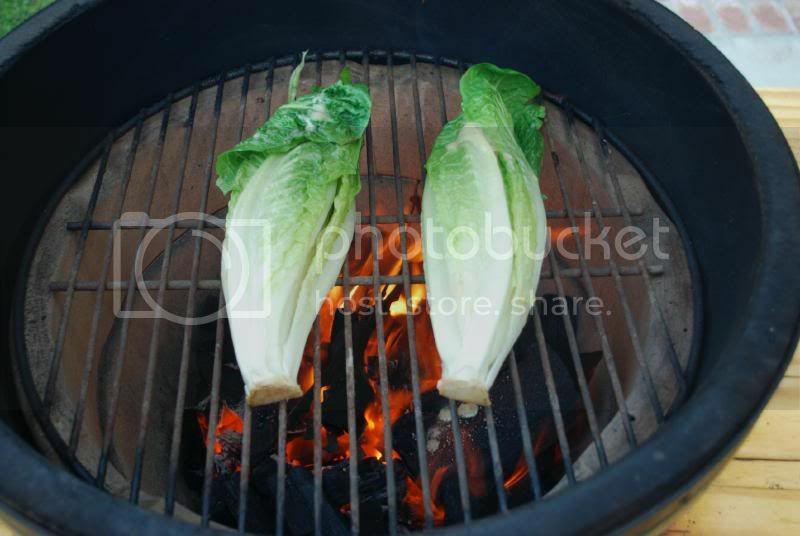 anybody ever grill romaine lettuce? 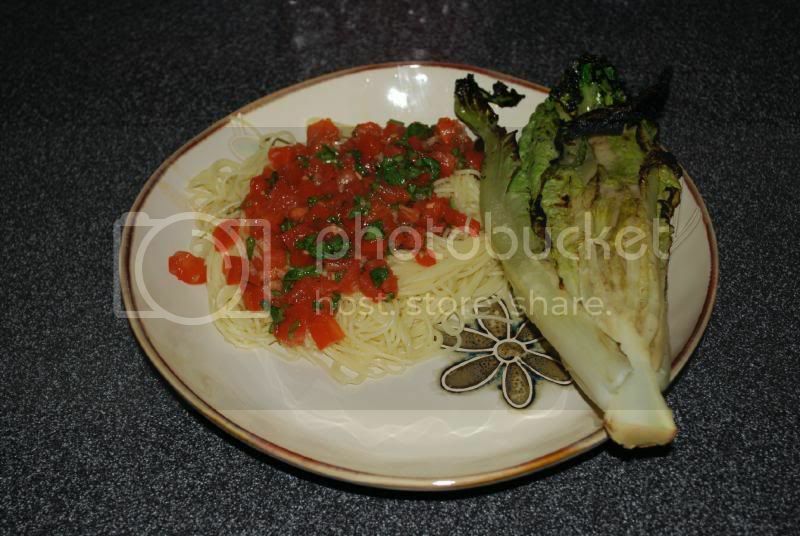 i stumble upon this post on another forum and his food looked so good..anybody ever do this? 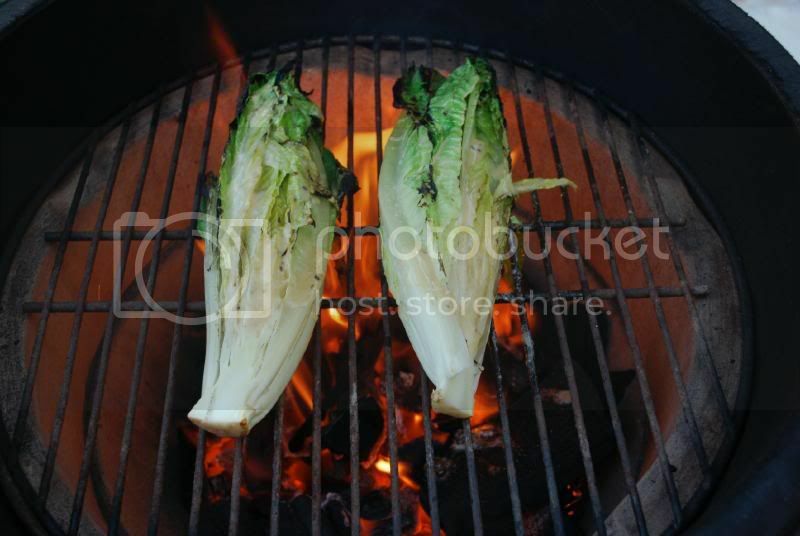 Re: anybody ever grill romaine lettuce? Not yet. There's a couple Ellie Kreiger recipes I read that have grilled lettuce. Hey, thanks for the reminder!! I've seen it, always meant to.... and forgot about it. I have an extra head of romaine in the fridge I was afraid would be compost before I got to it.... now I know!!! What kind of sauce do you slather it with? I don't know. But I would be that Caesar Salad Dressing would be pretty stellar....I may have to try that this weekend. Just doing brats on the grill, but I may do this just to try it and if it's any good, put it on the site. Gonna have to try this. Paul does the grilling but heck... I can prbly grill a piece of lettuce! Looks great to me! I'd like blue cheese dressing on it. Or, maybe Caesar dressing and some parm cheese sprinked over it. I think I'll grill some this weekend if we have steaks! I've done it lots of times, but I only brushed the romaine with olive oil before grilling and then dressed it afterward. I love it! Last edited by Fisher's Mom; 05-06-2009 at 03:32 PM. 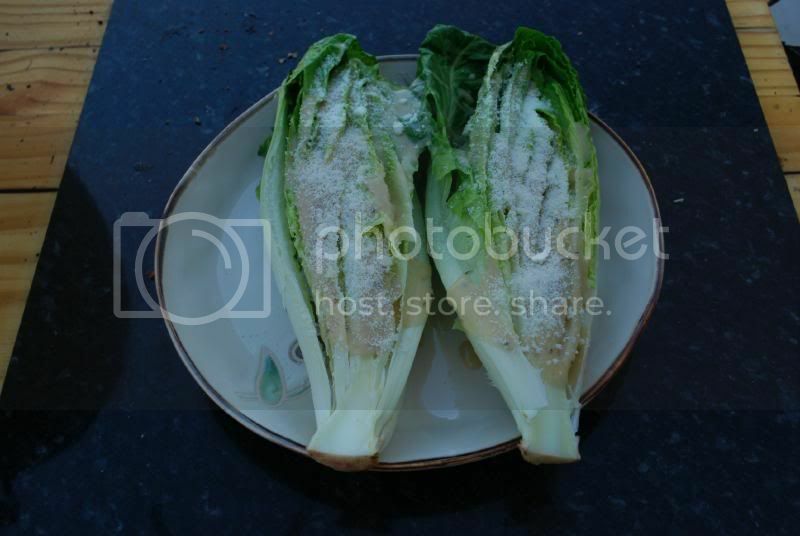 I've never done it with romaine lettice but have with bok choy. Well, yeah. I dunno about everyone else, but that's what I meant, LOL! i would do on a weekly basis .. but different .. It was really good! Made it last night. Sorry, didn't get a pic. I didnt dress it at all, just did what I do with zucchini.... drizzled with olive oil, salt and pepper..... grilled.... then I just grated some parmesan over it. I think some of my Asian friends would love it. I did some last night along with marinated chicken breasts and sauteed haricots. I like the taste, reminds me of a cooked greens like collards. I just drizzled with OO, seasoned with salt/pepper and finished with parmesan.